I’m Ed Smith, a Sacramento Motorcycle Accident Lawyer. Motorcycle riding culture in the United States is undergoing a transformation with women motorcycle riders seizing the initiative. Although the traditional American motorcycle industry has been facing headwinds for quite some time, ridership continues to grow due to a remarkable rise in the number of female motorcycle riders. A 2015 survey of motorcycle owners conducted by the Motorcycle Industry Council (MIC) showed that now as many as 14 percent of all motorcycle owners in the US are women. This is a very different picture from a decade and a half ago when the women’s share in motorcycle ownership was just eight percent. From 2003 to 2014, according to the survey figures, the number of women motorcycle owners jumped more than 100 percent, growing from 600,000 to about 1.2 million. In 2014, one in four Americans who rode a motorcycle at least once was a woman. While motorcycle ridership is still dominated by males, the trend of female riders is on the rise. Some interesting demographic insights about female motorcycle riders were revealed in the MIC study. A clear trend is that younger females are preferring motorcycles in greater numbers. In both Gen X and Gen Y segments, a little more than 17 percent of motorcycle riders are females, while among the Boomers, about nine percent are women motorcyclists. The female motorcycle rider’s median age is 39, while the median age of her male counterparts is 48. Interestingly, it seems that even in terms of road preparedness, women motorcyclists are doing better than men. As many as 60 percent of women riders have done a motorcycle safety course, while the figure for male riders is significantly lower at 42 percent. Cruisers, which have a lower seat height that appeals to many women, are the leading choice for women at 34 percent. Scooters seem to be almost equally popular with 33 percent of women choosing them, and sport bikes take the third spot at 10 percent [it is interesting to note that in Transformers 2 and 5 a female (though she was a hologram designed by a Transformers) was shown on a sport’s bike; mainstream movies and TV have no problem with showing woman on sport’s bikes and really why should they?]. Nearly three out of five female riders also prefer to purchase a new bike over a used one. Another interesting piece of information that is revealed from the MIC survey is that almost half of all women motorcycle riders prefer maintaining their bikes themselves. They would rather seek assistance from a family member or a friend, if required, than take the bike to a mechanic. This is probably because mechanics have a tendency to charge females more which Reader’s Digest and other publications have written about. The motorcycle manufacturers and other industry organizations have welcomed the growing trend of more American women aspiring to own and ride motorcycles. The general slowdown in the motorcycle industry over the last few years is now at least partly offset by an expansion of the women’s market. Manufacturers recognize this opportunity and are focusing on creating motorcycles that are more accessible for female riders or smaller riders. The manufacturers’ marketing strategies are now increasingly geared towards female buyers. Harley-Davidson has taken a lead on this front, and has been promoting female-centric activities and campaigns. These include events such as an all-female ‘Garage Party’ where interested female motorcycle aspirants can receive orientation about riding in an informal setting. According to Suzuki Motors, the company is experiencing a notable increase in the number of women looking to own and ride motorcycles. The company has based its assessment on the data trends from special events, surveys, social media communication, inputs from sales teams, and other industry research. Manufacturers are now conscious about creating specific training resources for dealers and sales personnel to help them engage with potential new women riders as well as retain the existing customers. 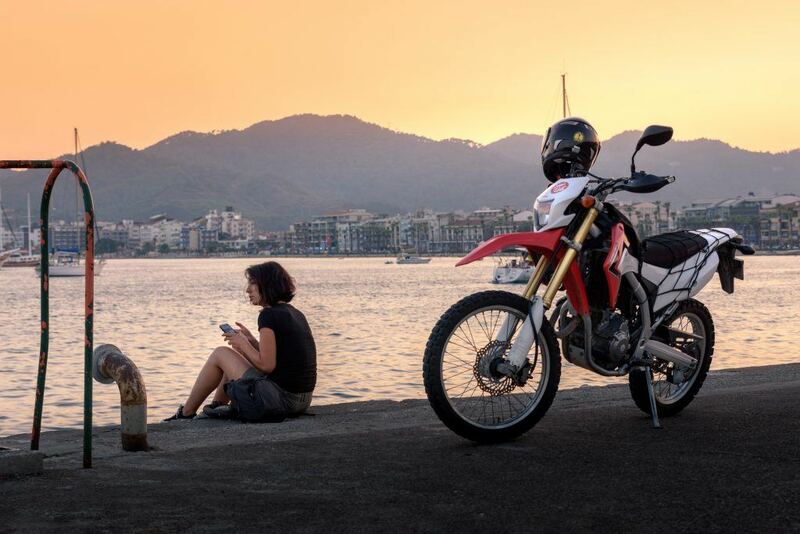 Women motorcyclists usually like to be treated as ‘just another rider’, but marketers continue to work on consciously crafting a subtle image of a female rider in order to attract the attention of more women out there. Some marketers believe that image cultivation of women motorcycle riders can pay big dividends for the industry, considering the huge scope for sales in this demographic. If the dealers and sales personnel manage to create a message that resonates with a female rider, they will not only win a new customer, but also win her loyalty to promote their brand and bring in more customers. Surveys and interviews of female motorcycle riders reveal that at a fundamental level, a woman’s reason to choose a motorcycle are not very different from that of a man. A sense of liberation, an opportunity of recreation, and an experience that brings them closer to nature and outdoors rank as the top three reasons for women as they do for men. However, at a subliminal level, there could be more reasons that are driving this growth trend of motorcycle riding among women. Women riders tend to enjoy a sense of affinity that motorcycling provides. This is evident from the numerous female-only communities of bike riders that have mushroomed in recent years. Women riders take pride in their ‘sisterhood of riding’ as can be seen from the success of various female-only riding events, including Babes Ride Out, Wild Gypsy Tours, and the Sisters Ride. Women seem to revel more in the company of fellow women riders. Motorcycle riding even delivers some unique value for women. Some of them take it as a form of meditation, or view their riding experience as an exclusive ‘me time’. At the same time, some women are choosing motorcycles for more pragmatic reasons. In areas of regular heavy traffic, bikes can often move faster than cars, and some women look at it as an ideal transportation choice for their daily commute to work. Motorcycle manufacturers have been working hard to support the growth trend of female motorcycle riding. From the early 1990s, manufacturers consciously began developing bike with a lower ride height. They also increased the engine range to cater to women bikers’ needs. Prior to the nineties, models would typically come in the range of 250 cc, 500 cc, and 750 cc, with no options in-between. Now women also have a choice of mid-range engine sizes, such as 300 cc and 600 cc, if they want. In addition to the motorcycle manufacturers, companies serving the aftermarket have also started offering female-friendly ways to modify a bike. The aftermarket industry has been meeting the requirements of female riders with different ways to lower the height, adjust the suspension, and increase the handlebar height to turn it closer. Hundreds of women-only motorcycle clubs have sprung up all over the country, which has fueled female bike riding as a major trend. These clubs provide an exclusive space to women riders to share their hobby of riding with other women, discuss new ideas and exchange knowledge, and regularly meet up with each other. These clubs serve as a friendly platform for new female riders to smoothly become integrated with the community of like-minded riders. One of the leading organizations for female riders is WoW or Women on Wheels, which now boasts of 75 Chapters in the US alone, and more than 1,500 members globally. In a powersports industry that is still primarily led by males, the emergence of women leaders is a reflection on how far female motorcycle riding has come. The American Motorcyclist Association (AMA) chose Maggie McNally-Bradshaw by a unanimous vote to chair its board of directors in 2013. In AMA’s 89-year history, she became the first woman to lead the organization. Similarly, in MIC’s 100-year history, motorcycle industry veteran Sarah Schilke became the first woman to have a seat on the Council’s board of directors. Leslie Porterfield, the world’s fastest woman on a motorcycle who holds three land-speed records, holds the opinion that female motorcycle riders react better to contingencies compared to their male counterparts. A member of the Bonneville 200 mph club, and a Guinness World Record holder Porterfield, survived a high-speed motorcycle crash 10 years ago, and emerged from it to set a new world record next year. According to Porterfield, while women have a few limitations, they also have certain advantages over male riders. Like any activity, things can and will go wrong during motorcycling sometimes. In such situations, women have the natural instinct to react more effectively than men. Porterfield says that some of the greatest women riders also have the reputation of being able to keep their nerve in high-pressure situations. Patience is a virtue and it certainly is for motorcycle riders. Check out various types of bikes to see which one might be the right fit for you. Automotive shows offer an excellent opportunity to have a close look at the latest models. You should also consider interacting with experienced female riders through leading online forums for sound advice. Once you have short-listed the model of your choice, find out whether it is possible to rent it out. Alternatively, attend a dealer event where you will have a chance to test ride the motorcycle you are planning to purchase. As your riding skills get better, your expectations from your bike may undergo a change. Many women prefer to begin with smaller bikes, and gradually transition to bigger models. If you are new to motorcycle riding, make sure that you obtain the requisite training from a certified professional. You can find some instructional resources on the website of the Motorcycle Safety Foundation that are helpful for new riders. Riding a motorcycle is a specialized skill involving several intricacies that may not be applicable to a car. Therefore, taking classes (or at least one) can be an astute choice. Getting a few riding tips from a fellow motorcycle rider may also suffice. There is also some helpful online motorcycle videos to watch as well. A certified professional can teach all the safety tips and impart comprehensive training starting from how to be seated correctly on the bike to actually ride it. Additionally, the cardinal safety rule for all motorcyclists is to always wear a helmet and other essential bike gear, including a leather jacket, heavy duty jeans, gloves, and ankle boots. New female riders can benefit from the community if they join a club or a group that focuses on the needs of women motorcycle riders. Resources such as WomenRidersNow.com list various such groups, where a female rider can discover like-minded bike enthusiasts. A motorcycle is undoubtedly a unique machine that empowers today’s woman. Riding a motorcycle can add to a woman’s confidence and deliver a sense of accomplishment. When this is combined with a commitment to ride responsibly and respect the rules of the road, it can make the riding experience more consummate and fulfilling. As an increasing amount of female motorcycle riders hit the road, their positive influence is bound to add a whole new dimension to the world of powersports. I’m Ed Smith, a Sacramento Motorcycle Accident Attorney. The aftermath of a motorcycle crash can be devastating for the injured person and their family. If you or your loved one needs my help, please don’t hesitate to call me for free and friendly advice. You can reach me at 916.921.6400, and online at AutoAccident.com. I have practiced law in California since 1982, serving many clients in Sacramento and Norther California. Browse through Avvo, Google, and Yelp to read some of my former clients’ reviews. The Million Dollar Forum is reserved for accident lawyers with successful case verdicts and settlements in excess of one million dollars. You can review some of my past Verdicts and Settlements posted in summary to my website.